We are inviting you to a Moroccan tour through the Atlas Mountains, Movie Studios, and Canyons… Two days on the road till we reached the Moroccan Desert! The trip through the countryside of Morocco was tiring, sweating and unforgettable. A unique experience, full of tourists traps and awesome people. It all started in Marrakech when you book a Moroccan tour from our hotel /tourist agency. Of course we choose the cheapest tour, we are budget travellers, but we got three amazing days. The dark side: just one night in a hotel and only one shower. I can say it was a great and stinking experience! We left Marrakech early in the morning. In our van an interesting mix of Greeks, Belgians, Moroccans, Brazilians and Japanese. One quick note: our driver should be our tour guide too, however, he didn´t speak English! Hummm… Next question: Does anyone speak French or Arabic in the van? Thank God we had the Belgian girls, right away they were nominated our official tour translators. Merci!!! 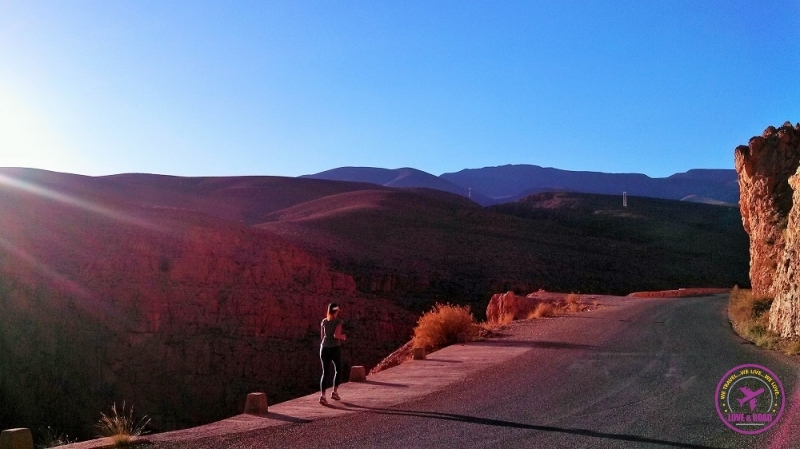 Before we get all sandy at the Merzouga Desert, our Moroccan tour drove us to awesome places. Destinations I never thought we would be visiting. 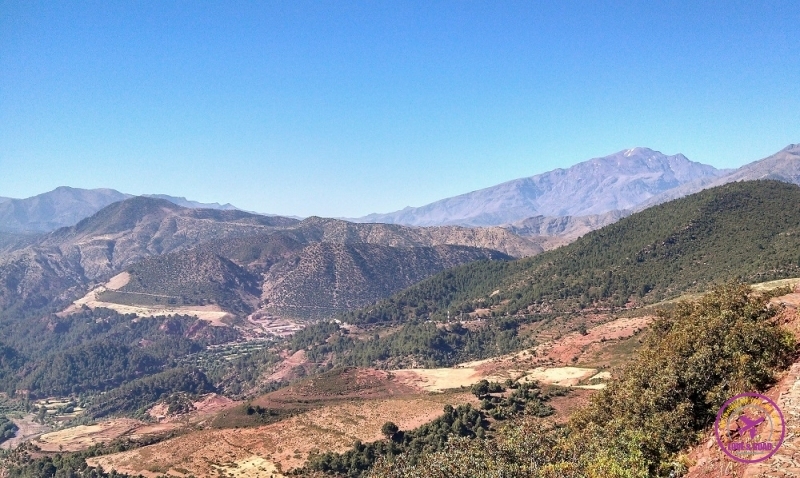 In less than one hour we were driving up the Atlas Mountains. OMG!!! Such a stunning landscape, so different from Marrakech and Essaouria. During the trip our driver stopped in several points so we could take pictures and enjoy the isolated communities. It´s super high there! Many curves and bridges, such a steep road… Incredibly beautiful!!! “Argan Oil Cooperative”. 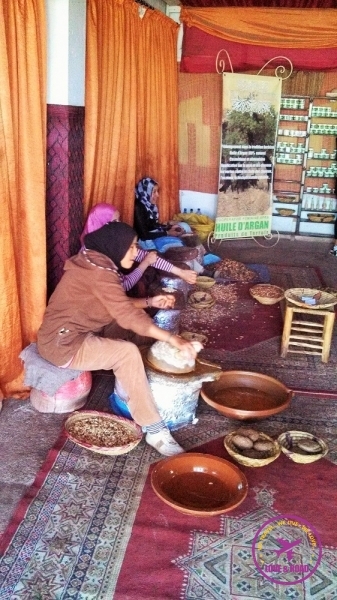 It´s a place at the Atlas Mountains where only women produce the argan oil. Around the shelves some girls pretending to produce the golden liquid, but you could see the fakeness on it. Even though, if you still want to take a picture you have to pay for it! Just a quick visit and we were back into the van. We said goodbye to the mountains and headed to the Moroccan Desert. Between naps, road bumps and nice views we arrived in a stunning weird place. 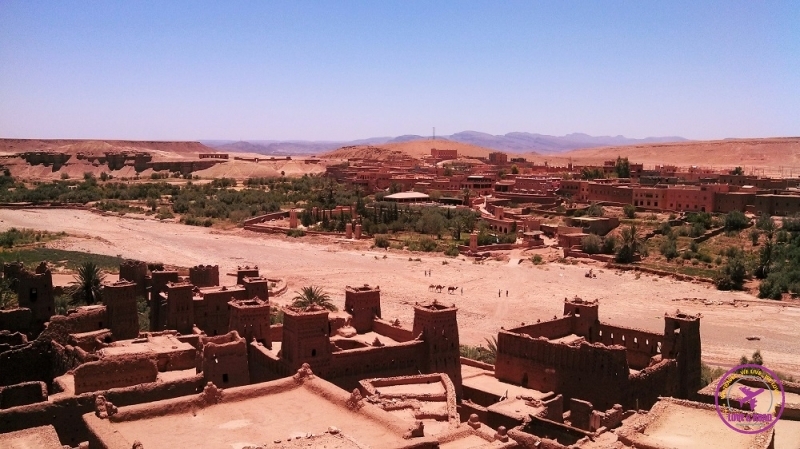 Aït Benhaddou was also the place of our second Moroccan tour tourist trap! We put our turbans on and paid 25 Dirham (roughly 3 USD) for a guide that did nothing for us! Oh, I forgot, he took a picture! Next stop of our Moroccan tour was Ouarzazate city, known as the door of the desert. Again, a completely different place. Such a clean and organized city, felt like I wasn’t in Morocco anymore. Why does it look so nice? In Ouarzazate is located one of biggest outdoors movie studios in the world. At Atlas Studios many movies were filmed: Asterix & Obelix, Cleopatra, Gladiator, Salmon Fishing in the Yemen and of course Game of Thrones. That’s why everything is so organized, it needs to be good enough to receive all the Hollywood stars and us, of course! Done with movie locations! Let´s go to a beautiful and non-fake place, please! We drove for more two hours, only dust and dry road around us… 35º C inside the car, in the middle of nowhere. Suddenly we began to see some trees, palm trees, roses and houses… It looked like an Oasis! It was an Oasis!! Like a mirage, there were the Draa Valley and the Rose Valley in front of our eyes. It was almost 6pm when the driver announced the final stop of our first Moroccan tour day. I was super tired, hungry, and melting… The van parked in front of a small hotel at the Gorges du Dadès. 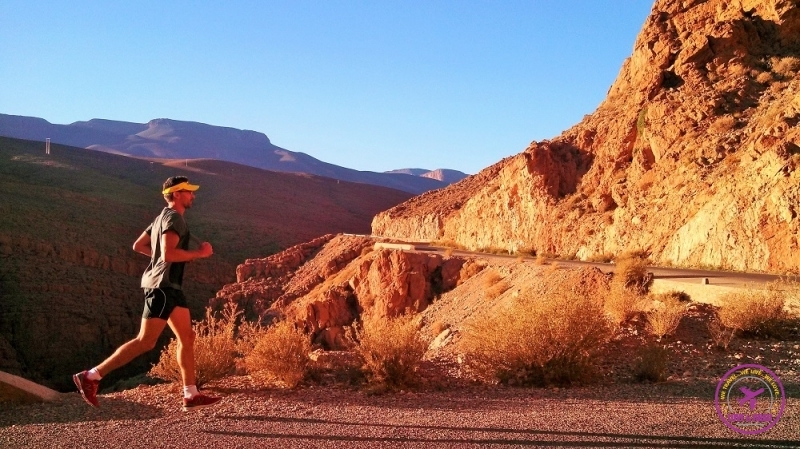 The rocky orange mountains, the river’s sound, the bed… Everything so relaxing, but Rob decided to go for a run. Sounds like a stupid decision, but I changed my clothes and joined him for some jogging. Believe it or not it was the best thing we could have done. After 3km up hill we got to this unbelievable view. The sunset on the mountains put an end on the first Moroccan Tour day. A tiring but amazing day. Have you been in a Morocco? Did you take the Moroccan tour to the desert? How many showers you did you have? I have a friend who went to Morocco for a year as a discussion student. She is truly captivated by the culture and land there. I consider Morocco will be a place I want to go as well.